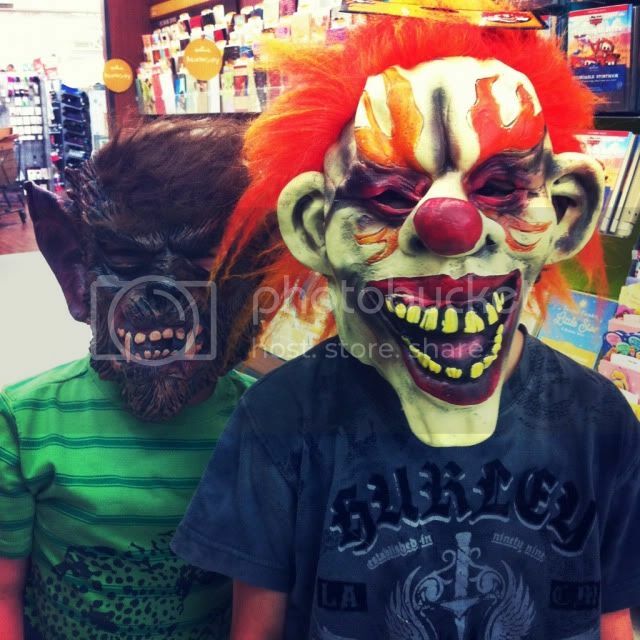 jonahbonah: witches, werewolves, and clowns. i've been looking at different containers lately and trying to think of ways to upcycle them. grits, oats, lysol wipes, milk jugs, you name it. the only ones i've actually kept are the grits and oats. tulle, ribbon, a hot glue gun, and a black marker. first, i wrapped it with black paper. next, i hot glued and gathered the tulle wround the top. ribbon hot glued around the top covered the mess of the tulle. then, i cut out two legs and a pair of boots. the last thing i did was draw stripes on her legs and stitches on her shoes. i filled this one with candy for a friend. 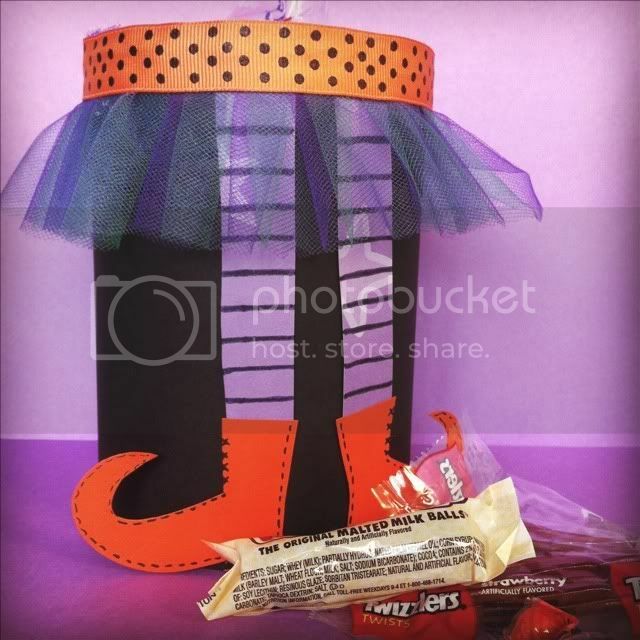 other ideas i had was using it as a "boo" container for my neighbors. wouldn't it be fun to drop a mason jar filled with water down into the container and use it as a vase? here's two of my very own cuties! psst...i've already got plans for the oats container.